Edmonton is looking to make make it easier for homeowners who want to install solar panels on their homes. This comes on the heels of a provincial government incentive program that could mean significant growth in the industry, says Rob Harlan, executive director of the Solar Energy Society of Alberta. 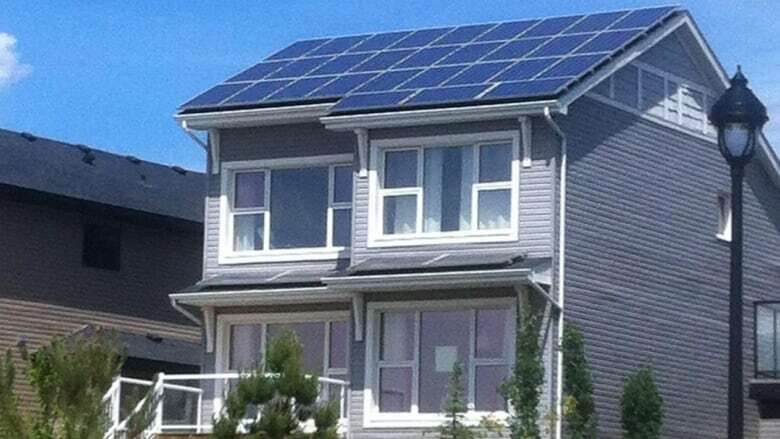 The city of Edmonton is looking to tweak a bylaw to make it easier for homeowners to install solar panels on their houses. The proposed changes include removing the requirement of a development permit for roof-mounted solar panels in residential neighbourhoods. "It means less paperwork, less red tape," said Anne Stevenson, senior planner with the city. It also includes setting out guidelines on restricting their height and how far the panels can protrude from the side of a house. "Right now there's a lot of ambiguity around solar panels," said Stevenson. "What these amendments do is make it very clear that if you follow certain parameters you won't require a development permit." The change is essential, said Rob Harlan, executive director of the Solar Energy Society of Alberta. "They've got an existing permit process that is somewhat of a disincentive for people because it's not always consistent, and it's not always clear," Harlan said Friday. There is going to be a lot of growth in this industry soon as a result of a new provincial incentive program for solar panels, and the city needs to be ready for this, he added. The Alberta government is putting up $36 million over two years for a rebate program to encourage rooftop solar panels on homes and businesses. The rebates are expected to be available as early as this summer, said Environment Minister Shannon Phillips during the program's announcement last month. "There really is a need for the city to be ready for the amount of applications they'll likely be seeing as a direct result of this incentive program," Harlan said. "Right now there's, I believe, about 1,800 solar on-grid electric systems in the province," he said. "The goal of the province is 5,000 to 10,000 by 2020." A public hearing on the proposed bylaw changes is set for April 10.